While one species of breeding marsh terns is already something special, imagine three species breeding! Well, that is exactly what happened in the Zuidlaardermeer area (Netherlands – N 53° 7” / E 6° 41”). From 2005 to 2008 the meadows between the southern lake (Zuidlaardermeer) and the smaller northern lake (Foxholstermeer) were transformed from an agricultural area into a marsh. In times of heavy rainfall, these areas can be used as additional basins to keep the populated areas dry. 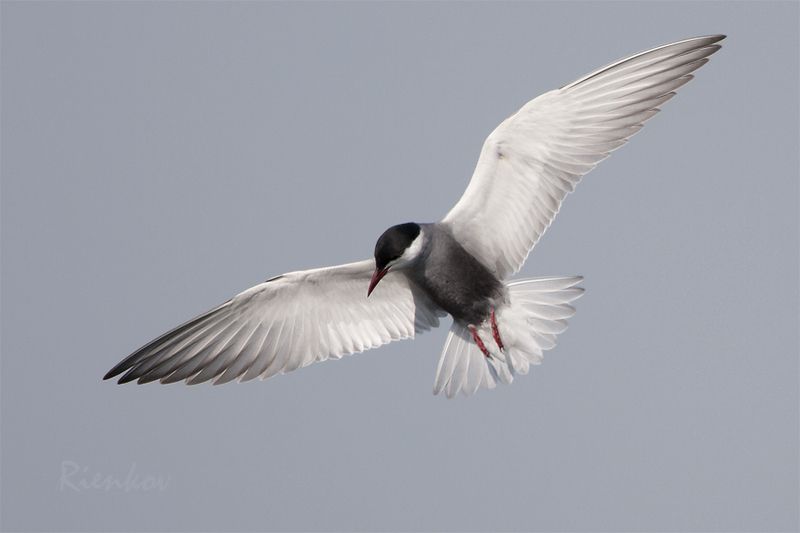 In 2012 a large thunderstorm brought in migrating Whiskered Terns (Chlidonias hybridus). Apparently the situated suited them well for instead of migrating further to the nearest known breeding sites in Eastern Poland, they decided to stay. Over the next period of time more migrating birds joined the original settlers. By July a total of 26 pairs were observed! By August they had produced 18 fledglings. A very rare occurrence for the last (unsuccessful) attempt to breed in the Netherlands dates back to 1999! So everyone was curious if the Whiskered Terns would return the next year. And indeed they did! By the end of April 2013 the first Whiskered Terns returned. Again the large, close vegetation cover of Amphibious Bistort (Persicaria amphibia) proved to be the favorite location to build a nest. Not as many as a year before but nevertheless, some five pairs raises at least four chicks to flying birds. 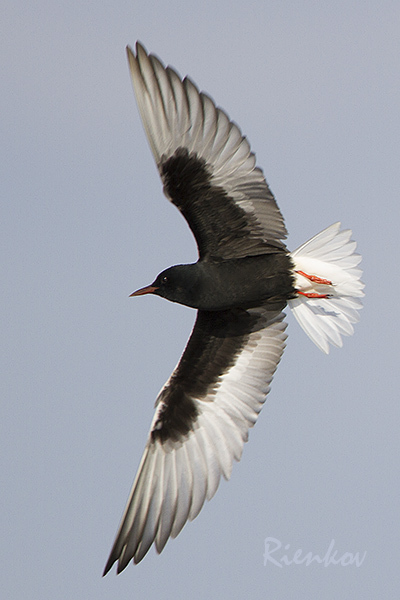 And let’s not forget that the number of Black Terns increased, proof that the area well suited their needs. So what would 2014 bring? A bit later than usual about 4-8 Whiskered Terns arrived together with some 16 Black Terns. Then, on May 17, a large number (> 40!) 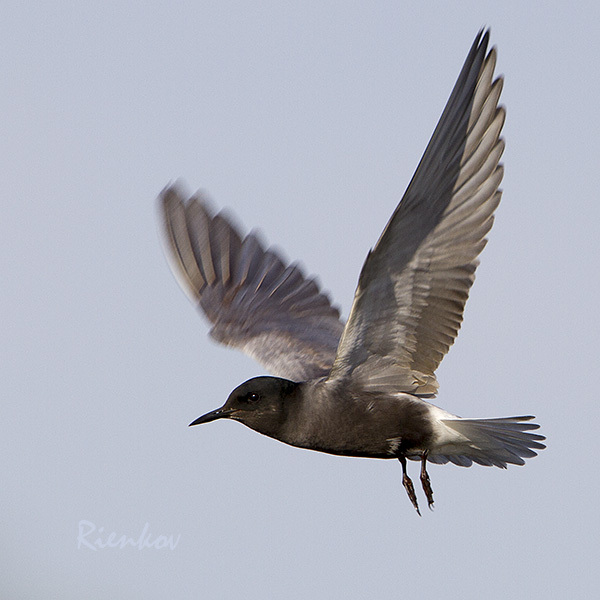 of White-winged Terns (Chlidonias leucoptera) visited the area. A spectacular sight since they are very rare birds in our part of the world. All over the Netherlands groups of White-winged Terns were spotted but after a couple of days the flux passed. Except…. Except for the Zuidlaardermeer Area were about 4-7 pairs have decided to stay and breed in a recently submerged meadow.. Now let’s hope the breeding will be successful. As a bonus another 19 pairs of Whiskered Terns joined the festivities and founded a colony about a kilometer to the north-east of the White-winged Terns. The visitors of the area can now witness all three marsh terns foraging, interacting with each other. A very rare site. I think I’m lucky to live nearby and be able to enjoy the scenery as many times as I can. Copyright © 2019 Rienko van der Schuur. All Rights Reserved.